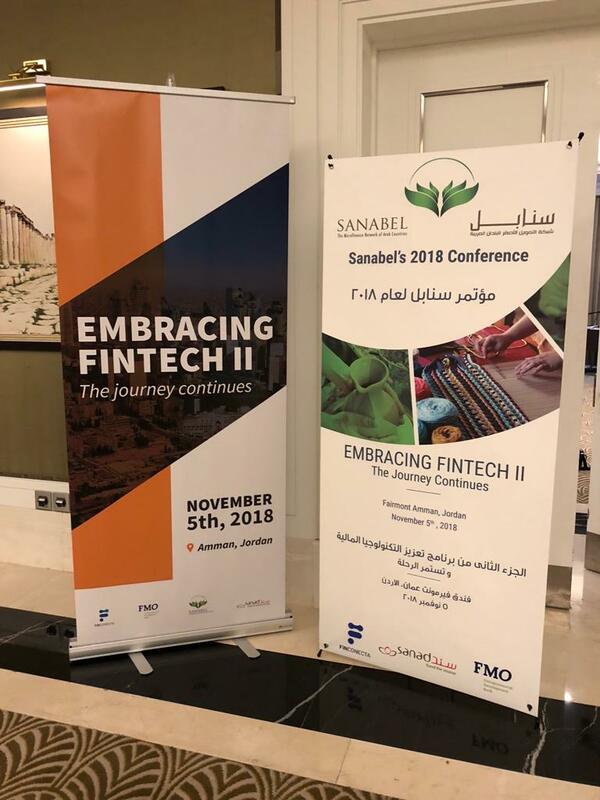 FinConecta led Embracing Fintech Part 2: The Journey Continues in Amman, Jordan -a co-sponsored event hosted by FMO, Sanabel, the SANAD Technical Assistance Facility, and FinConecta. The opening remarks of the event were done by Yamama Kenawy (Sanabel) and Erica van Eeghen (FMO), who highlighted the relevance of the topic for Middle Eastern and Northern Africa financial institutions. 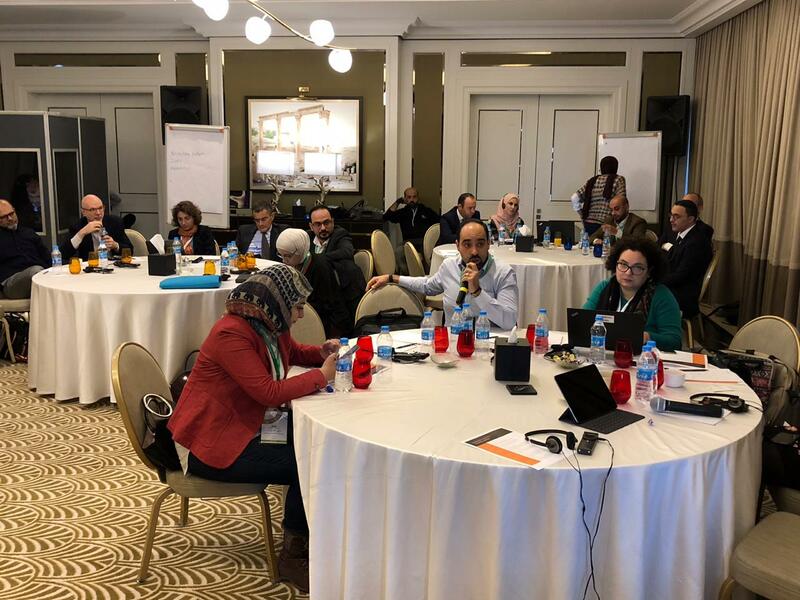 Participants from several MENA countries were present, ensuring a variety of experiences and points of view that enriched conversations. 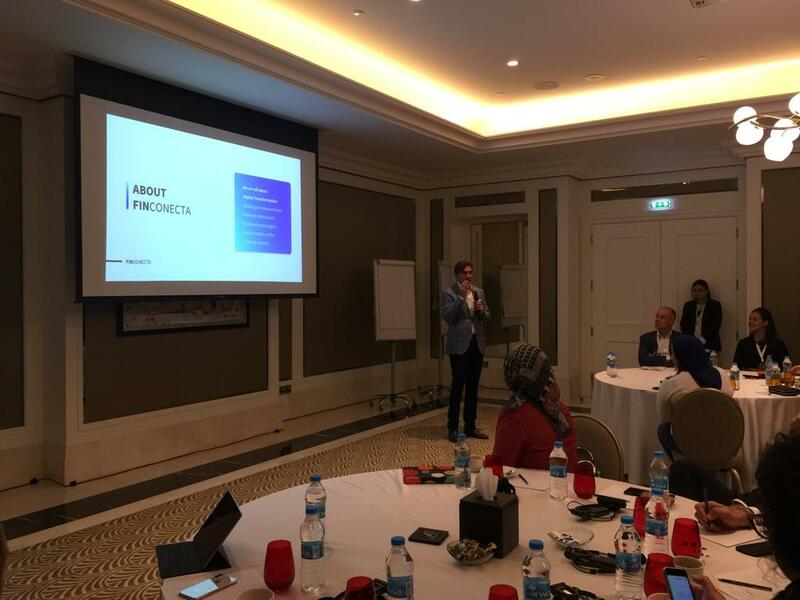 The purpose of the gathering was to deepen FIs´ understanding and readiness for their digital transformation journeys: we started by providing a framework of FinConecta’s viewpoint about the future of finance, followed by an analysis of the most relevant challenges that institutions face in the 5 domains of digital transformation. This prompted engaging team discussions and a rich generation of ideas to bridge gaps and move organizations forward. Subsequently, we showcased a session about culture, leadership, talent and organizational design conducive to digital transformation. During the afternoon, Lonneke Noteboom (FMO) conducted a conversation about technology’s impact on financial inclusion with Reda Maamari, founder at Arab Financial Inclusion Innovation Prize- AFIIP, who shared his viewpoint and experiences in the region. 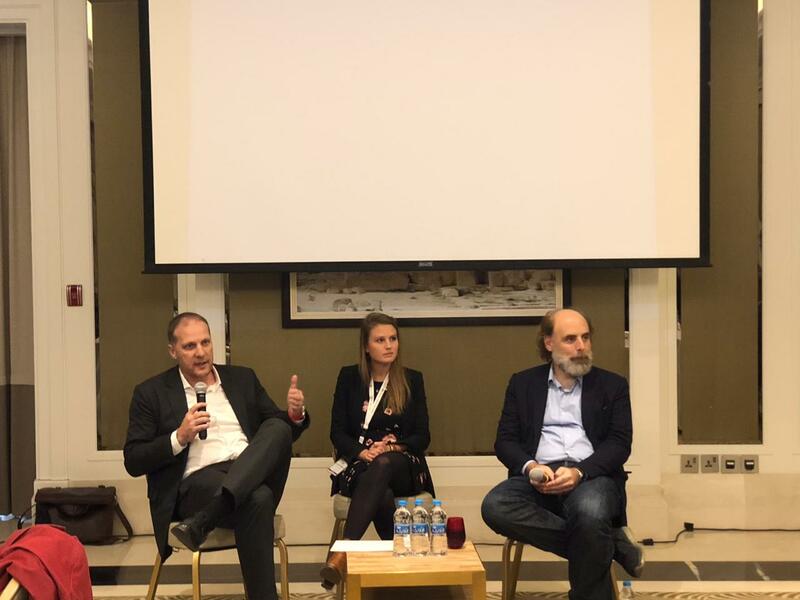 We concluded the day with the amazing contribution of Jacob Ole Nestingen and Ussal Sahbaz, experts in Fintech regulation.